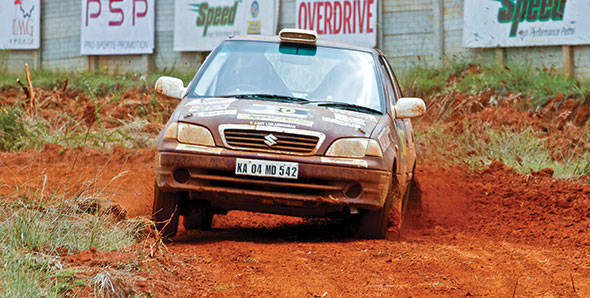 The Chikmagalur Rally is a contender for the 2014 Asia Cup, which is run as a part of the Asia Pacific Rally Championship. The 2013 round of the Chikmagalur Rally that is being held between the 29th of November and 1st of December will see the attendance of an APRC observer, and should it meet the requisite criteria, 2014 will have the Chikmagalur Rally run as a part of the Indian Rally Championship and Asia Cup too. While the name of the APRC observer hasn't been confirmed yet, it is very likely that New Zealander Murray Brown, who is a coordinator for the APRC, will be coming to Chikmagalur to observe the event. What are the obvious benefits of India hosting a round of the Asia Cup? Well, to begin with, starting 2014, the Indian National Rally Championship makes way for the Indian Rally Championship (IRC) which allows the participation of both Indian and foreign drivers in either FMSCI homologated cars or FIA homologated cars. Which means foreign cars and drivers will already be competing in the IRC. If Chikmagalur, then, is part of the Asia Cup, it elevates the event itself to the next level. The Asia Cup, however, is a subclass that is geographically differentiated from the rest of the rallies, as opposed to technically differentiated from the rest of the APRC. Current rounds of the Asia Cup include Japan, Indonesia, Malaysia, China and Thailand.